The prospect of Transformers: The Ride 3d coming to Universal Studios Florida is exciting enough, but if it does come, we can expect more than a great ride. Transformers has the latest additions to Universal's family of specialty food and beverage. 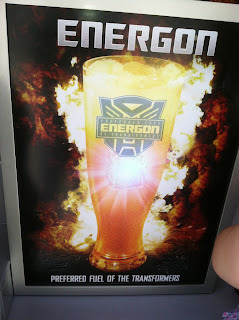 Universal Studios Hollywood is currently the only place to get Energon, the energy drink of Transformers. The drink has been described as a creamy orange soda. 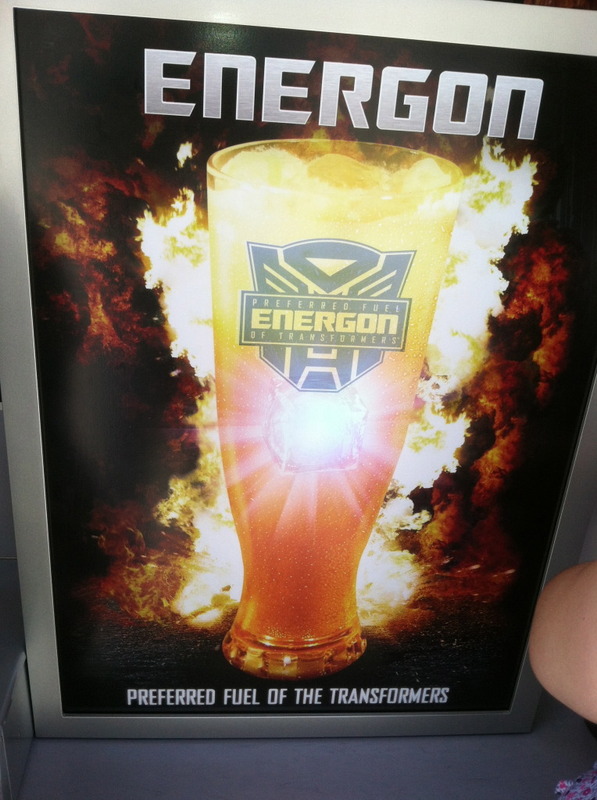 It comes in a special Energon glass with a light-up cube. © 2012 Theme Park Review. Check out their report of Transformers Grand Opening here. Still thirsty for battle? Become infused with an Energon energy drink, the preferred fuel of Transformers and exclusive only at Universal Studios Hollywood. Available at the Recharging Station on the Lower Lot. 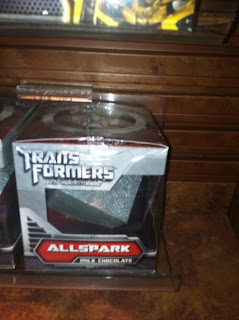 Also available is Allspark which is the Transfomer version of the Chocolate Frog. 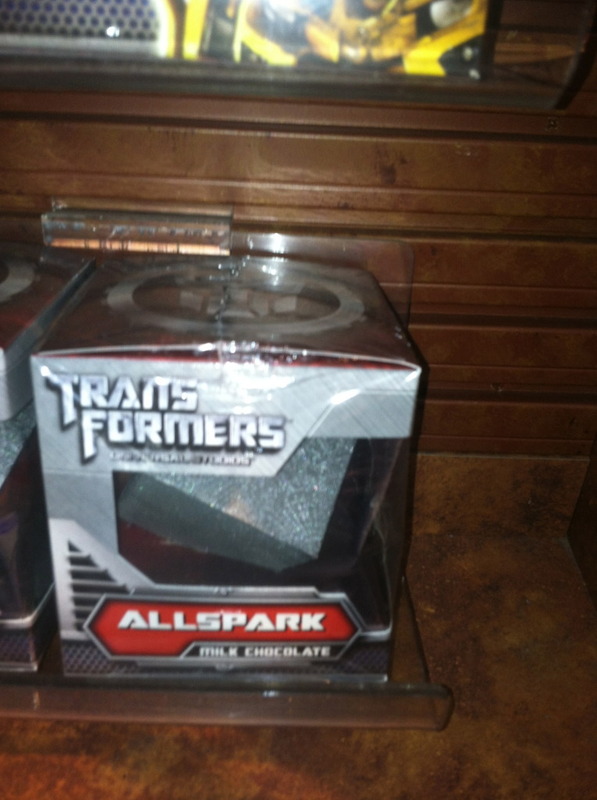 Allspark comes in the form of a milk-chocolate cube and features the designs of the cube from the films. Despicable Me: Minion Mayhem opening on July 2nd, offers the cookies that Gru's girls sell in the movie. 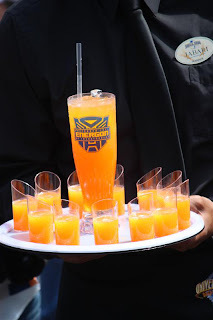 Universal attractions currently offering specialty food and/or beverage include The Wizarding World of Harry Potter, The Simpsons Ride, Green Eggs and Ham, and now Transformers and Minion Mayhem. Parkscope loves unique merchandise and food & beverage offerings in theme parks. It takes the theme to the next level and inspires spending because you cannot get it at home. Generic merchandise and Coca-Cola at every corner does not. If Transformers does indeed replace Soundstage 44, hopefully Energon and Allspark come with it. Follow @Parkscope for the latest developments on Soundstage 44.